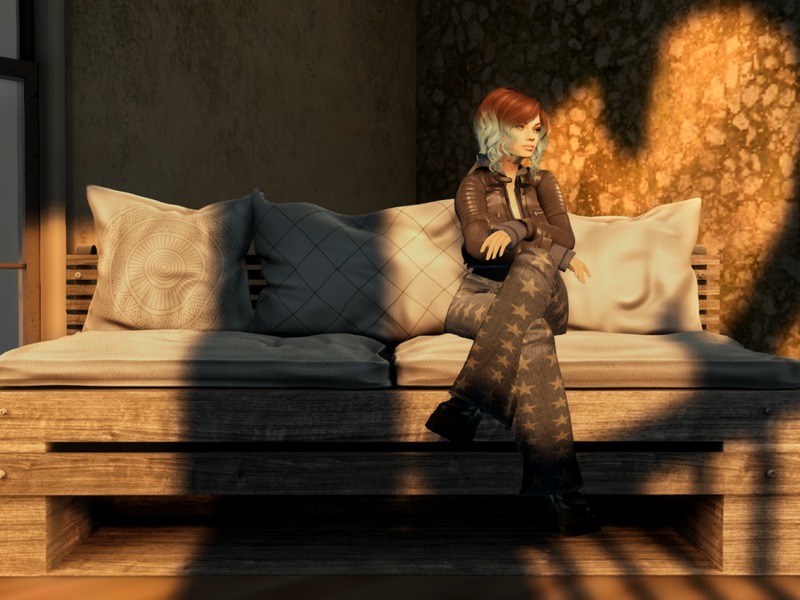 Something happened recently to a friend of mine in Second Life. We were chatting and cleaning inventory when she accidentally deleted a folder of stuff from her inventory. At first she didn’t realise what had happened or what she had deleted exactly. I have seen this phenomenon before. I have even experienced it. That moment when you realise what you have done, that something you have valued, for whatever reason is no longer with you in any way. I am Sheoak here. I may have…”procured”…a lot of stuff on this run…. In other online worlds <coughWOWcough> I have seen people throw the most unpleasant of tantrums because they have accidentally deleted their Uber Staff of Massive Healing Prowess or their Gigantic Sword of Super Hacking and Slashing or even their Ridiculous Hat of Incredible Intellect. In all honesty, I have been one of them. The other thing I see happen with not only my stuff but other peoples stuff is that quite often, in the highly consumerist world of Second Life, We buy stuff or are gifted stuff by talented and generous creators…and then don’t even unpack it and appreciate it before going on to buy the next shiny thing that catches our eye. So we end up with folders of things in our inventories that we don’t realise we actually have, and then we go to buy more stuff, not remembering that we already HAVE that stuff! Why do we do it? I am absolutely guilty of it. This was ONE folder of stuff I had sitting in my inventory for months unopened. Sometimes I think we just get stuff online because we CAN. Because it FEELS good to do so. It’s that temporary high that comes with “MINE!”. I used to do it in WOW…with a group of friends I ran around with. Race them to grab the loot regardless of whether I actually NEEDED it or not. The thrill was in beating them to it and also getting the Crappy Little Dagger of Ineffective Stabbing. In Second Life, the thrill I think is simply in just GETTING the item, especially if it is free or on sale, or it is something you have wanted for awhile but haven’t been able to find. Sometimes the things we get are emotional. They MEAN something quite important, an achievement, an event, a feeling. There is also this idea that we live with the persistent notion of the ephemerality of our things. Our digital things are more under threat than our physical things, because they can be taken from us with the flick of a switch, or the corruption of data, or the loss of a server. Physical things must be physically removed from us but they still remain a thing somewhere in the world. Then there is inevitably these words… “It’s just STUFF”. And you know. You KNOW it’s just “stuff”. These things are indeed just pixels and code, but they are also more than that. They are our memories and when someone feels loss because they have lost those things it is because those things were REAL to them. They represented something real and therefore became real themselves. And that loss they feel is also real, but it is not loss and grief for just the things…it is the loss and grief of the thing that made those memorials less ephemeral, less fleeting. It allowed them to hold on to that moment and that splice of time that meant something significant. So when someone flippantly answers your loss with the comment, “Well, it’s just stuff, you can get more”, that is actually a really hurtful comment because it dismisses those things about the stuff that was more important. It dismisses the representation and the meaning. It is a refusal to acknowledge that which is important to YOU and it casts those moments you have into a meaningless void as if they only existed to you and they only meant something to you. And it is as if that attachment you had to the moment is somehow worth less and your grief is worth nothing. It makes me wonder what will happen when the dream of Second Life ends. When the world finally darkens and the servers shut down for the last time. When all the things and dreams and stuff of residents are deleted from internet memory and we become no more than the whisper between the binary code streams. Will we mourn then or will we have already moved onto other shiny stuff?